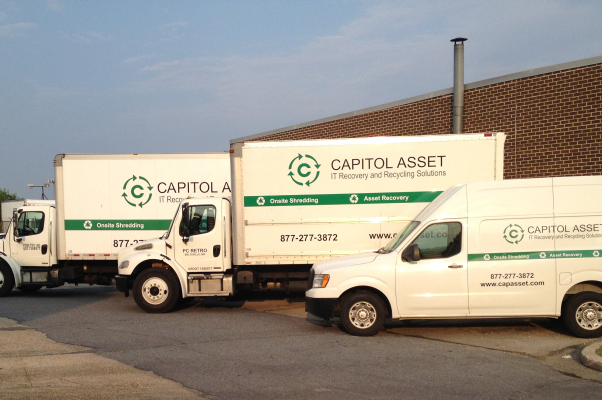 Capitol Asset Recovery, Inc. is a privately held Metro Washington DC based enterprise that specializes in secure IT Asset Disposition, liquidation and retirement services for end-of-life and surplus IT equipment. We focus on the outright purchase of surplus electronics, certified electronics recycling and secure data destruction services. We operate out of our 30,000 square foot headquarters in Lanham, MD. Our clients range from Federal Government agencies to large financial institutions to educational systems and healthcare systems. We operate our own fleet of GPS tracked vehicles providing a secure chain of custody on equipment and data transported. No job is too big or too small. Our refurbished products can be found through our own retail computer chain PC Retro, Inc.
© 2019 e-Stewards, all rights reserved.